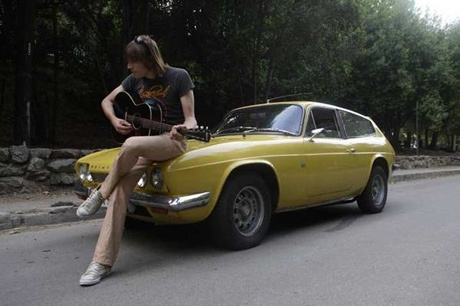 As if General Motors didn't already have enough to worry about, Lemonheads front-man Evan Dando filed a copyright infringement lawsuit against the once mighty car manufacturer last week. According to BBC News, Dando is alleging a 2008 GM advertisement featured a track that copied Lemonheads' 1992 song "Its a Shame About Ray." Dando initiated proceedings at Los Angeles Federal Court last Thursday (June 4) and is seeking unspecified damages and a portion of the profits from GM's ads, which were featured in a campaign for Chevrolet and Buick cars. To check out the songs in question, you can watch the GM ad here and Dando doing "Its a Shame About Ray" overhere.